Difficulty falling pregnant is becoming more widespread in modern society. This is largely due to a lot of couples putting off having kids until their mid 30’s instead of starting in their early 20’s. Many other modern factors are causing issues as well such as increased stress levels, poor sleeping and eating habits. These can all disrupt the body’s hormones and nervous system making falling pregnant more difficult. Other women have pre-existing menstrual issues such as irregular periods, endometriosis and PCOS. All of these can make tracking your cycle and ovulation more difficult, which in turn makes falling pregnant harder. Investigative tests such as ultrasounds and blood tests will often be done by your GP to check hormone levels and assessing your ovaries for under-developed follicles. A blood test can be done about one week before your period is due to confirm whether you have ovulated that cycle. Medications such as Chlomid can be prescribed to help your body ovulate, or your health practitioner may recommend IVF as an option. In Traditional Chinese Medicine (TCM) theory, a woman’s menstrual cycle is a direct reflection of her overall health. Irregularities such as short/long cycles or heavy bleeding point to deeper disharmonies that often have related symptoms appearing elsewhere such as sleeping difficulties, mood swings or skin issues. Any symptoms which arise such as painful ovulation, heavy bleeding, or irregular cycles, means that her Qi and Blood are out of regulation. This can be caused by stress, chronic illness or prolonged poor diet. The goal of TCM is to regulate the patient’s Qi and Blood which in turn may bring about a regular menstrual cycle. A Pilot Study performed in 2016 as well as a review of Acupuncture and Women’s Health both showed Acupuncture had a positive effect on participants’ menstrual health, fertility awareness and overall well-being. More in-depth studies are needed though for conclusive results. Your ‘Essence’ as its called in TCM is the driving force behind everything in our bodies. This reservoir (which we are born with) naturally declines with age, the better we look after it, the healthier we age. This decline in essence is how TCM explains decreasing egg quality in women or such conditions as premature menopause. In a way this is similar to how Western Medicine describes a woman’s eggs being as old as she is in age, so obviously the older you are, the less likely your body is able to mature a good quality egg. This is the process whereby the woman is given hormones to regulate her cycle artificially, she is given injections to stimulate egg development at the correct times. The eggs are then collected, graded and externally fertilised. The best egg is then implanted back in to the uterus and hopefully a pregnancy occurs. 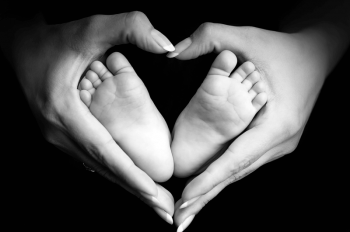 The current success rates for IVF in women under the age of 38 is approximately 30%. Other techniques such as ICSI can be used when there are issues with the man’s sperm. This is a way of selecting the best sperm in the sample to help improve the chances of egg fertilisation. A recent research paper done by RMIT in 2017 has hypothesised a link between the ‘reward’ hormone Ghrelin and infertility caused by stress. You can read about the research and my thoughts on it by clicking the link. One area where Acupuncture can assist is with stress relief. Trying to fall pregnant is one of the most stressful experiences a couple can go through. The longer it goes on, the worse you feel. Acupuncture has been shown to relieve stress to help women cope with this difficult journey. My belief is that this point towards the need for a lengthier treatment regime of Acupuncture, and not just receiving treatment in the final stages of the IVF. As a natural medicine, Acupuncture’s effects are often more gradual and therefore require a longer time frame to have any potential benefit. Hence I recommend patients commence Acupuncture 2-3 months prior to their planned IVF cycle, concluding that currently there is no scientific evidence to support this approach to Acupuncture and IVF.